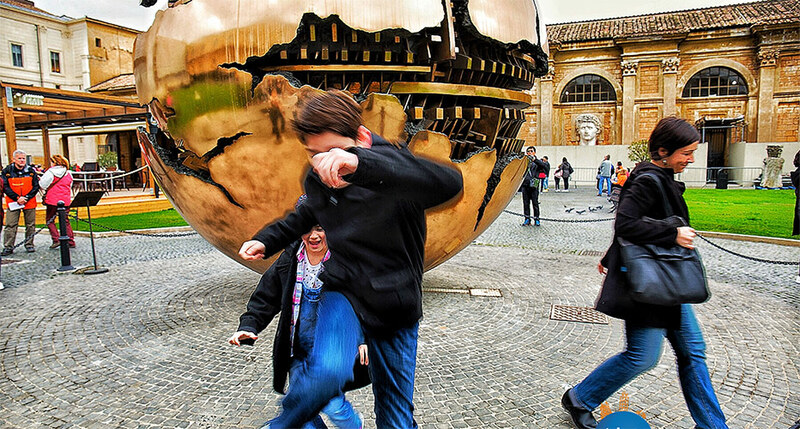 As one of the world’s most highly traveled destinations, cultural tours in Italy are the ideal way in which travelers can immerse themselves into the country’s rich and countless cultural offerings. From gazing upon the world’s most cherished artistic and architectural masterpieces, to enjoying the local customs and festivities, to indulging in fine wine and culinary – Italy’s culture and history are the keys to its status as a premiere, bucket-list destination for people all over the world. Trips 2 Italy’s travel experts can help plan a custom Italian getaway that is culturally focused – allowing first-time or repeat visitors the chance to experience a personalized vacation that exceeds expectations, no matter what one’s interests may be. Italy’s art scene consists of an unparalleled collection of historic masterpieces in some of the world’s most highly renowned museums. As the home of Florence – known as the birthplace of the Italian Renaissance – the most prominent style of art one will find throughout Italy is that of the Renaissance. However, the many museums in Rome, Venice, Florence, and beyond offer a wealth of art in styles such as Etruscan, Gothic, Roman, Baroque, modern, and contemporary. No matter where one travels in Italy, the history of the world can be seen in the paintings, sculptures, frescoes, and other works of art that don the walls of Italy’s countless museums. The most famous museum in Italy – and perhaps the world – is the Uffizi Gallery, located in Florence. Known for housing one of the best collections of Italian Renaissance art, it was one of the first modern museums and continues to inspire visitors from all over the globe. Another museum not to be missed in Florence is the Galleria dell'Accademia. Famed for containing Michelangelo’s David, it also houses a variety of Florentine Gothic artworks. Other museums to see when visiting Florence are the Bargello Museum, Palazzo Vecchio, the Museo Opera del Duomo, Palazzo Pitti, and more. Why are museums in Florence considered such must-see destinations? Because in the 14th century, the city gave birth to the Renaissance – a highly influential period following the dark ages that symbolized rebirth and man’s immersion into art, religion, science, and humanism. The movement spread throughout Europe, bringing a deeper appreciation and understanding for new art forms and advanced ways of thinking and shaping the face of Europe as we know it today. Though mostly known for its incredible architectural monuments, Rome is also home to great museums, including the Vatican Museums – a collection of curated works by the Popes – as well as Galleria Borghese – a villa turned art gallery. Alternative options for art and history buffs in Rome are the National Roman Museum, the National Gallery of Modern Art, and the Capitoline Museums. Throughout Italy stand some of the best representations of the life of early man – including stunning architectural masterpieces, medieval villages, ancient artifacts, and piazzas alive with the spirit of ancient Italy. These immensely historic sites – whether well-preserved or in ruins – offer a unique glimpse into Italy’s rich, cultural past. Those interested in architecture and history will delight in Italy’s vast array – more than any other country in the world – of UNESCO World Heritage Sites, as well as the variety of monuments and historic locales that make Italy so legendary. In terms of the country’s architecture, styles include ancient Greek and Roman, Renaissance, Neoclassical, Romanesque, Baroque, Gothic, Byzantine, and contemporary. Some of the most well-known architectural sites of Italy include Rome’s Colosseum, Pantheon, and Roman Forum, as well as Florence’s famed Cathedral, Pisa’s Leaning Tower, and Vatican City’s Sistine Chapel. Consider the country’s countless historic cathedrals and churches, variety of ancient ruins, and budding modern architectural movements, and it is easy to see why Italy has been considered a hub for architectural inspiration for centuries. Historically, Italy is an open-air museum. The tales of ancient Italy are told through the country’s cobblestone pathways, traditional villages, archaeological ruins, and historic city centers. Each city’s architecture, art, and culture thoughtfully preserves its unique history. From the ruins of Ancient Rome to the preserved, ancient city of Pompeii, to the famed canals in Venice – history seeps from every corner of Italy. 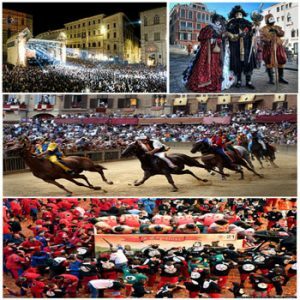 While these are just a few examples, nearly every city has a festival or event that serves as a way for locals to gather and celebrate their heritage. 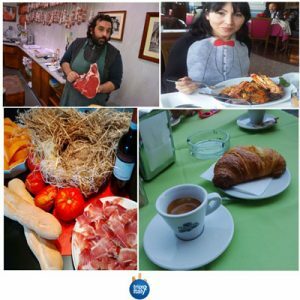 Another way to experience Italian life is to visit establishments – bars, nightclubs, cafes, markets, and various attractions – where locals gather. By enjoying Italy’s bustling nightlife, fantastic shopping, or array of live music and theater, travelers can soak up the culture like the locals do. Nothing tells a traveler more about Italy than the traditional cuisine which characterizes each of Italy’s 20 regions. Known as a country that values fresh, local, and seasonal ingredients, each dish in every city of Italy depicts the regional history, traditions, and culture. From the rustic and simplistic ingredients of Tuscan cuisine to the decadent indulgence of Piedmont’s rare truffle dishes, exploring Italy via food is a journey worth taking. As one of the world’s premier wine production areas, wine is a key aspect of Italian culture that can help travelers learn more about each city. With Italy’s varietal landscape, the country offers a wide range of wines – from Barolo to Moscato d’Asti, and everything in between – each grown and harvested by seasoned winemakers who carry on the tradition of the generations who came before them. To truly experience the wine culture of Italy, schedule a wine tasting or tour at any of Italy’s countless wineries. Whether one prefers an elegant meal filled with a variety of wine and food pairings or a more hands-on experience, such as helping to harvest the grapes – there is a unique wine-centered experience waiting in Italy.